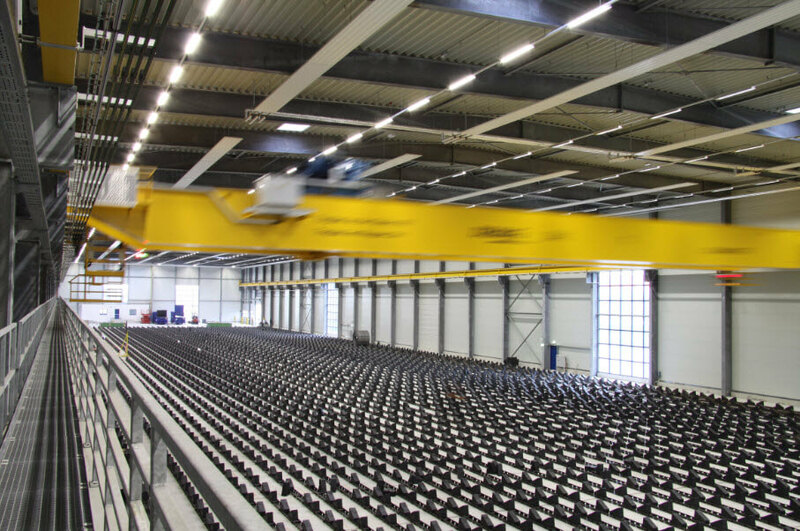 Process Cranes are designed and built to meet a particular production requirement within a specific industrial process. They are used in a variety of industries such as paper mills, aircraft and auto plants, recycling centers, steel foundries and production facilities.VAHLE offers dependable solutions for your process cranes including conductor bar and festoon systems for power, SMG for data communication and APOS, an absolute position system that tells you where your crane is at all times. We offer over 100 years of knowledge and expertise to ensure your process crane is up and running when needed.